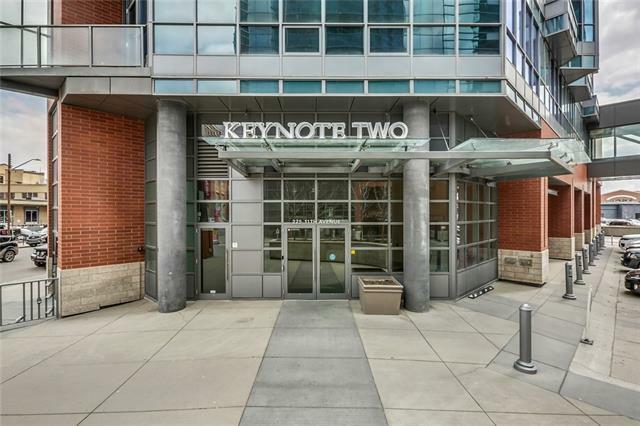 Providing an urban lifestyle that allows you to enjoy all that downtown Calgary has to offer, this bright and sunny south facing condo in the coveted Keynote 2 building is calling your name! End unit sharing only one wall with a neighbor. 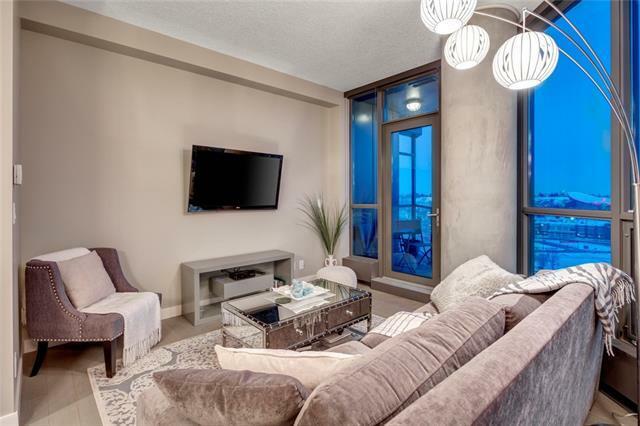 Great layout with 9' ceilings, engineered hardwood flooring & floor-to-ceiling windows. The stylish kitchen features granite counters, stainless appliances & a convenient breakfast counter! The adjoining living room fits full-size furniture and there is space for a bistro table as well. Your generous bedroom features a walk-through closet & cheater door to the bathroom. 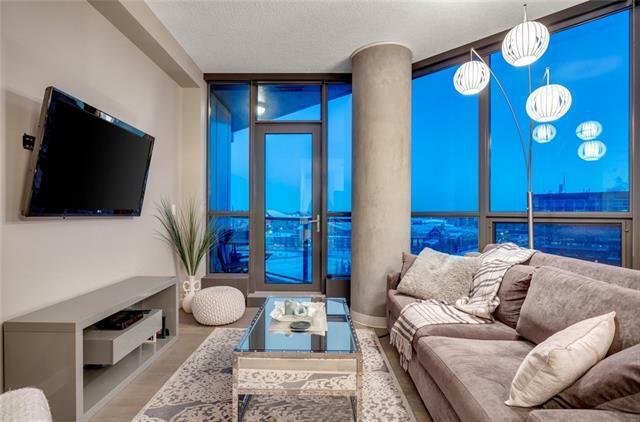 You'll love the south facing balcony, in-suite laundry, storage locker & titled underground parking! 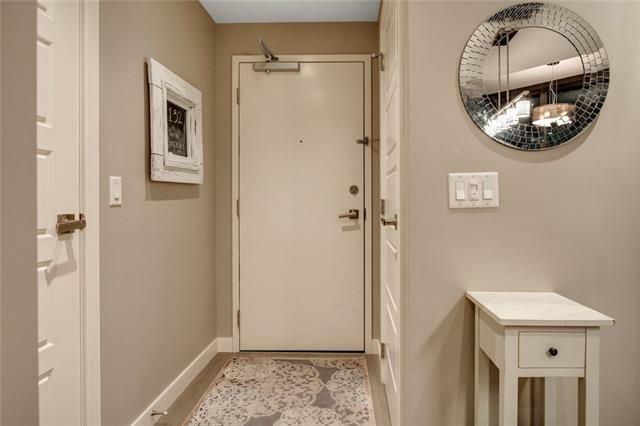 Unbeatable amenities including a 24-hour gym, hot tub, owners lounge, two guest suites & roof top patio, plus Sunterra market, Starbucks, 5 Vines Wines/Spirits & the Plus 15 network so you can walk to work inside! Quick access to Stampede Park, Saddledome, LRT & more! Youll love living here! CALL TODAY!